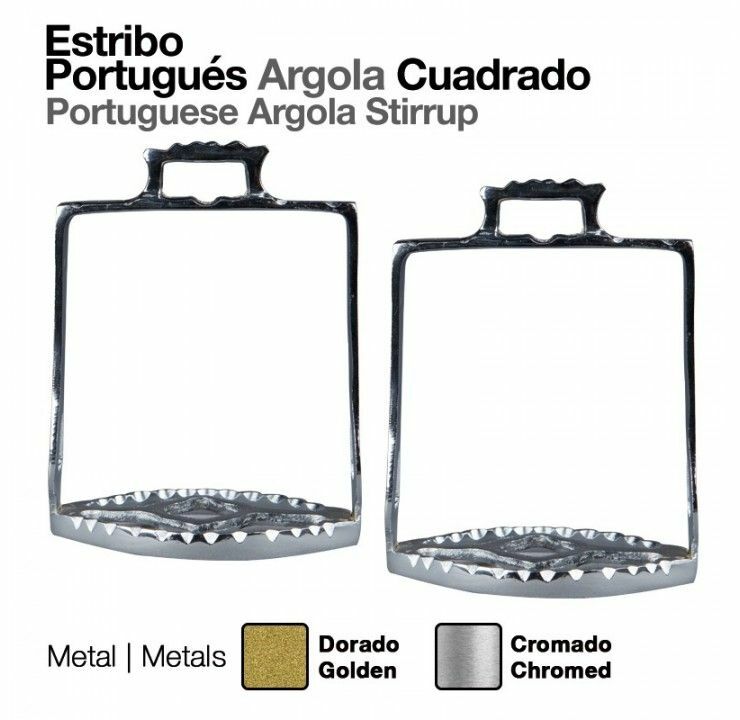 'Square' style fancy Portuguese display stirrup. Available either chromed or gold coloured plate. 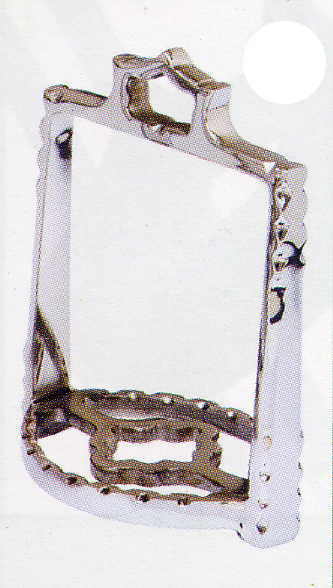 Available in two widths; 11.5cm or 14cm. Without rubber tread. Sold in pairs.